Overview - This is the second solo record from Mike Ness. Ness, who is widely known as the guitarist and singer in the band Social Distortion put out this record of covers with his unique style. 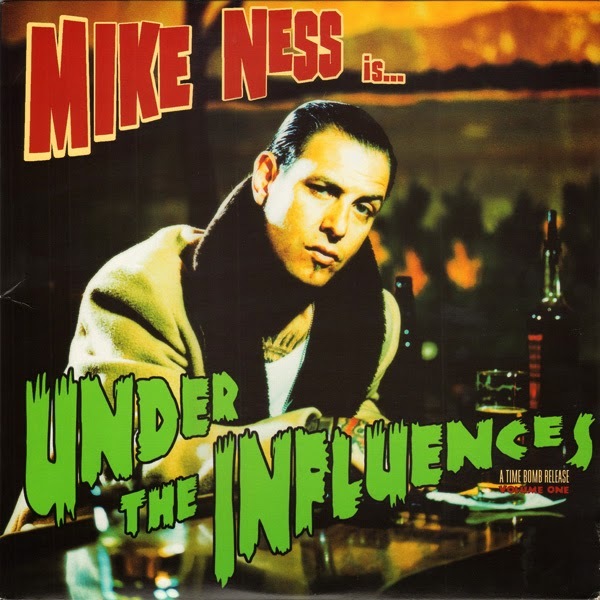 Released just six months after his full length solo album Ness put together 12 songs (the 13th being a change up on one of his Social Distortion songs) that reflected his influences. "I Fought The Law" (Bobby Fuller), was made popular by the Clash and the version here is pretty rocking, but the fun part is to hear the layers of guitars. You've heard it before, but perhaps not this way. They get right down to business on “Big Iron” (Marty Robbins) and the 12 bar blues skiffle riff really grabs you. The nice thing as we get a bit more in to the record is it makes you want to seek these original tracks out, see how “true to the original” they are. “One More Time” (Billy Lee Riley And The Little Green Men) Mando Dorame gets a turn to show off his chops as we hear him for the first time on the track. The band is pretty laid back and Dorame gets to shine with a few really solid solos. “Six More Miles” (Hank Williams Snr). Kearns is brought back for a work out on the track. These are the tracks I find particularly fun. Just that stripped down foot stomping romp. “A Thief In The Night” (Jean Shepard) finds Lawrence giving that twangy tinge and the track is a bit slower, but no less full of emotion. A track I've heard the original before the cover was "Once a Day" (George Jones). The slide guitar is here, Ness is a bit more rocking, but a solid solid cover. “Funnel of Love” (Wanda Jackson) seems to really break out. Quintana seems to be after the drum kit more than on any other track we've had. The guitars layer on each, with chords to hard and melodic strokes. This one has me wanting to hear the original. The second Hank Williams Snr cover returns with “House of Gold”. The band is very laid back on this track, Ness is really the focus here. “Wildwood Flower” (The Carter Family) is a lot more of a family jamboree type song. All the members seem to be foot stomping and getting rowdy. Its real fun. The album wraps up with Ness taking on “Ball and Chain” done by Social Distortion. Its the “honky tonk” version. Its very much “slowed down” from what you are used to hearing with a lot of acoustic guitar and lap steel. Sure its Ness singing, but the tempo will take you a bit to get used to. A unique way to close out the record. Where are they now? Ness, who formed Social Distortion in 1978 is still active in the studio and on stage. Social Distortions most recent studio album was released in 2011. FDF Overall Take/Was it worth Dusting Off? Covers albums can be tricky, but I think Ness did justice to these tracks and it makes you curious to hear what influenced him (fan or not). You might not play it all the time, but when it comes up on shuffle you'll perk up for sure. Links, find out more, follow em and buy! Disclaimer – I am just a music fan. Feel free to comment about something that may be written incorrectly about the band/members etc. I strive to have a fun and enjoyable site. This site used to post mp3s but ran in to many issues. The audio clips provided are usually from YouTube. No copy write infringement is intended. Please alert me if something should be pulled. Finally, support the artist featured, or your favorite artist by purchasing their music, seeing their shows if possible and saying hi. They need your support.